In its latest riposte to Western criticism of human rights in Iran, the Supreme Leader’s office has invoked the 1993 killing of 76 members of the Branch Davidian religious sect in Waco, Texas. Do u even know what #HumanRights means?Who turned Afghanistan&Iraq in2 bloodbaths?Who’s been helping oppressive #Zionist regime4 10s of yrs? 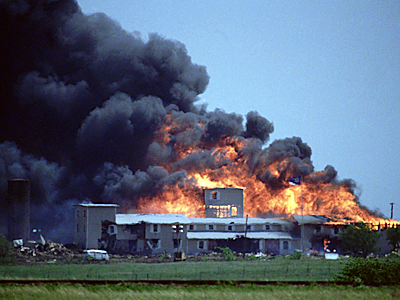 In the US itself (at the time of Bill #Clinton) abt 80 ppl from the Branch #Davidians were burned alive in the fire. This cannot be denied.